We love raw oysters on the half shell. 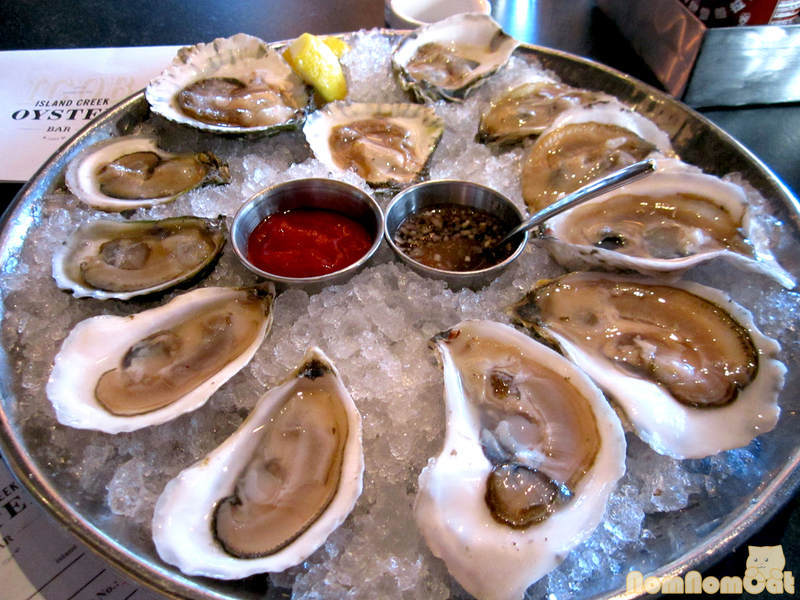 In LA, we typically have oysters from British Columbia, Washington state, even locally in Northern and Central California. 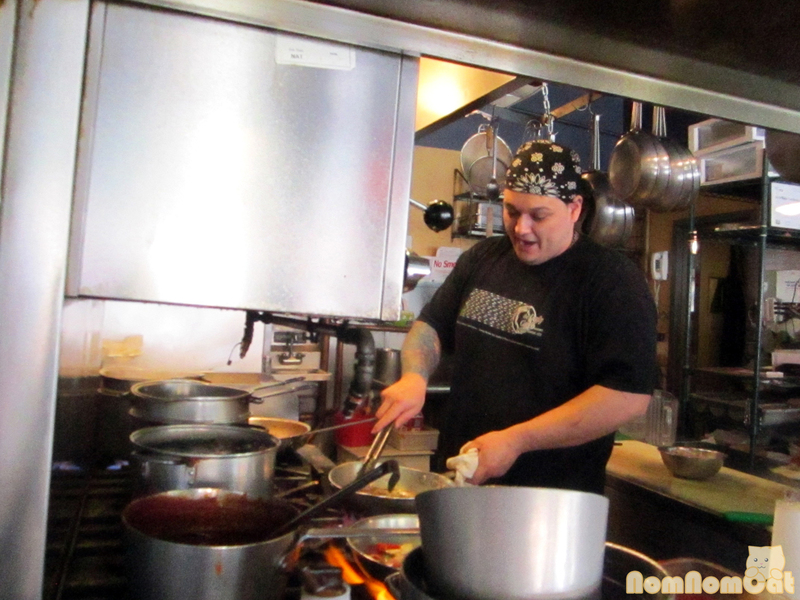 We were especially excited to try some East Coast oysters and what better place to go than Island Creek Oyster Bar? During this quick stop we tried 6 varieties – 5 farm and 1 wild. 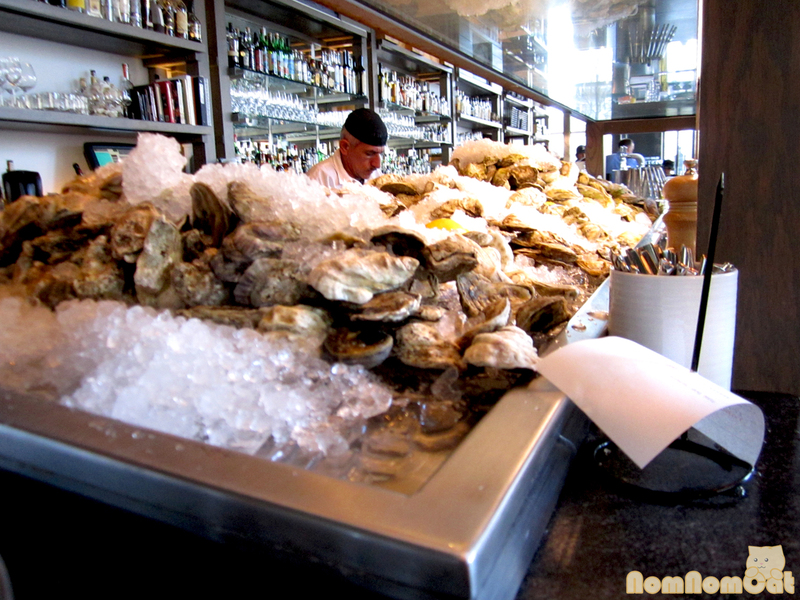 This swanky oyster bar served its own Island Creek variety of oysters, farmed just south of Boston at Duxbury Bay along with several other New England varieties and other areas. Can you spot the wild variety? 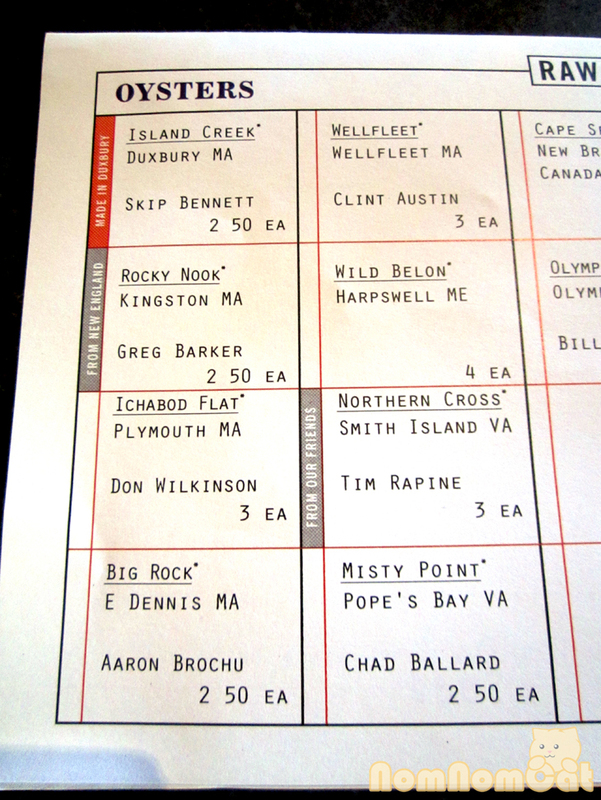 Starting from the right of the lemon: Island Creek (Duxbury, MA), Rocky Nook (Kingston, MA), Ichabod Flat (Plymouth, MA), Big Rock (E Dennis, MA), WellFleet (WellFleet, MA), Wild Belon (Harpswell, ME). The Island Creek variety was definitely the creamiest and sweetest of the 6. 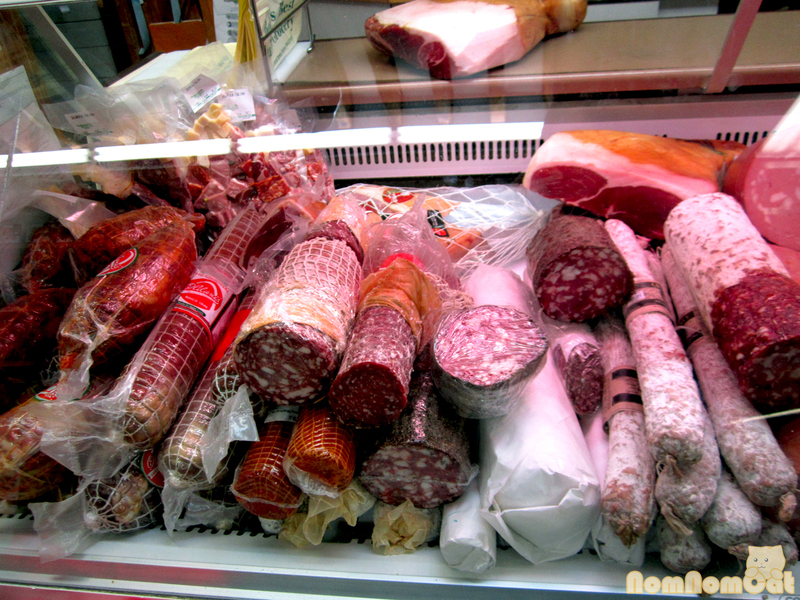 As we went around the tray clockwise, each variety was more briny and became increasingly more complex than the last. The Wild Belon was a slap in the face, standing completely out from the rest with its powerful mineral notes throughout. 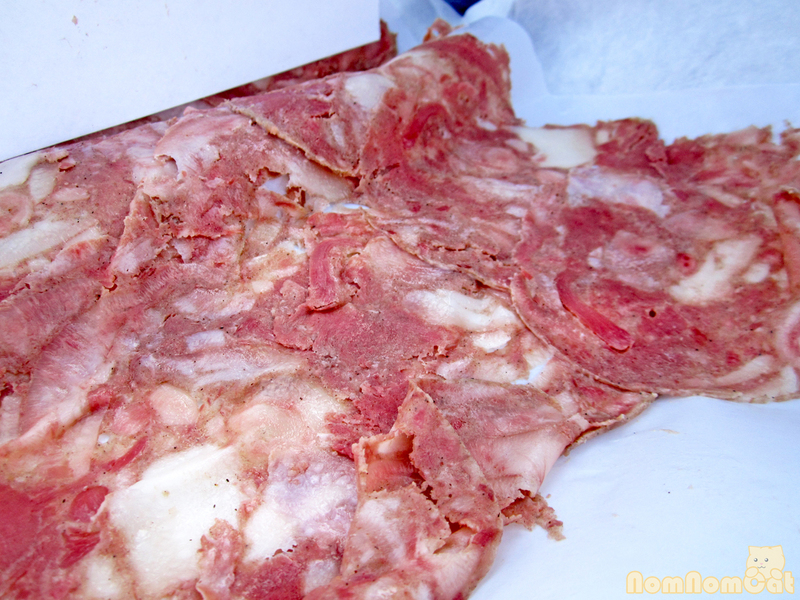 Luckily we finished with the Wild Belon which blew out our taste buds for the next 15 minutes. It’s quite the experience but not for the faint of oyster. We enjoyed or brief hour or so at Island Creek Oyster Bar and could see ourselves frequenting this gem more often if we were Bostonians. If you’re dropping by Boston for a weekend or two, consider stopping by Island Creek Oyster Bar and try some of their local catches – you won’t be disappointed. 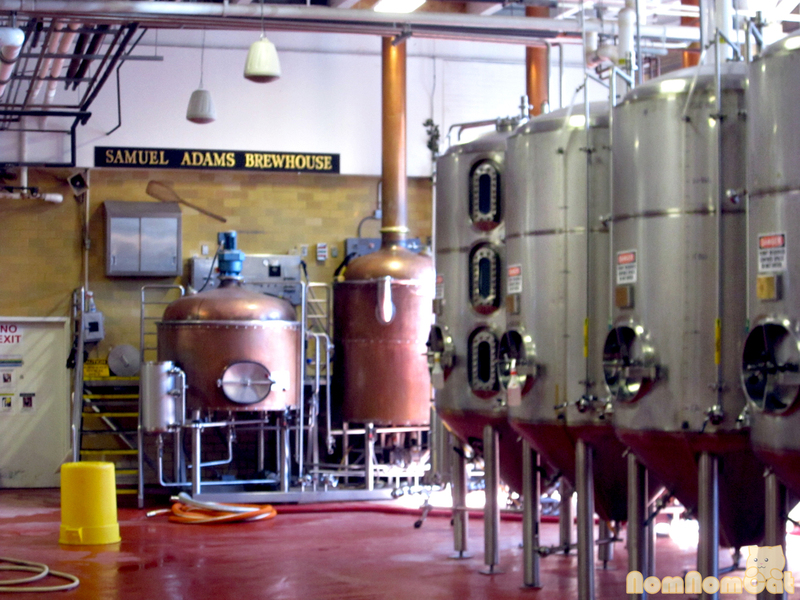 The Sam Adams Brewery is a ways off from Downtown Boston but definitely worth the trek to experience the process of beer making if not for the free beer at the end of the tour. The free tour starts about once every 45 minutes and weekday tours did not seem very crowded. 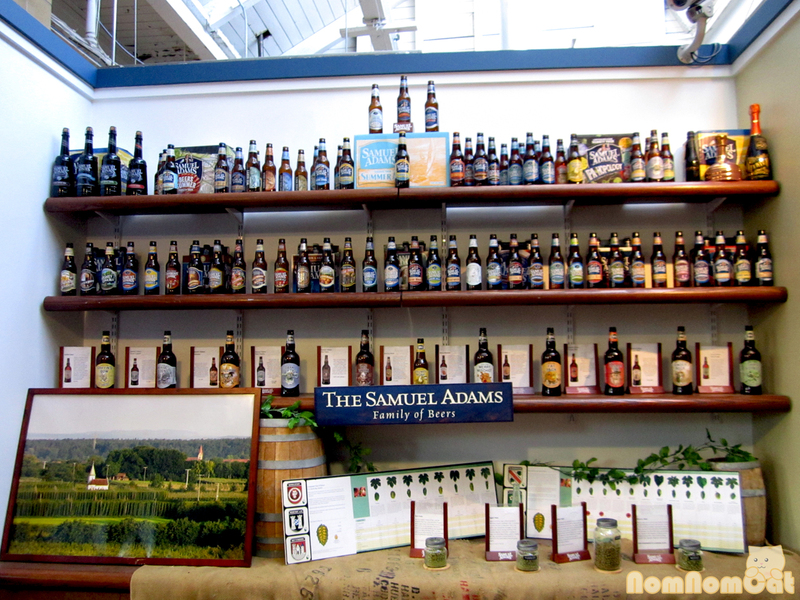 There may be a short wait between tours but visitors could distract themselves at the mini museum showcasing the many Sam Adams varieties and company history. 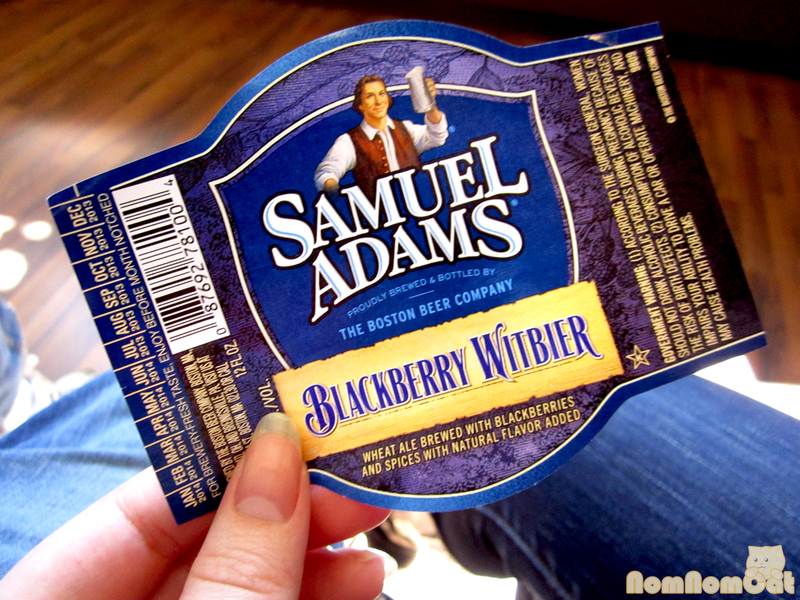 I was actually surprised to find out that Sam Adams hasn’t been around all that long – only since 1984. Its wide appeal, many awards, widespread distribution, and iconic name has built a brand that feels like it has been around for much longer. I wish I could say I have tried all these beers but I’ve only just begun to scratch the surface. Many of these varieties are readily available year-round, some are seasonal, and a few are either limited to certain regions or unavailable altogether. I won’t even try to go through all the details our expert tour guide edumacated us with but here’s a quick run-down on the key ingredients (aside from water and yeast). 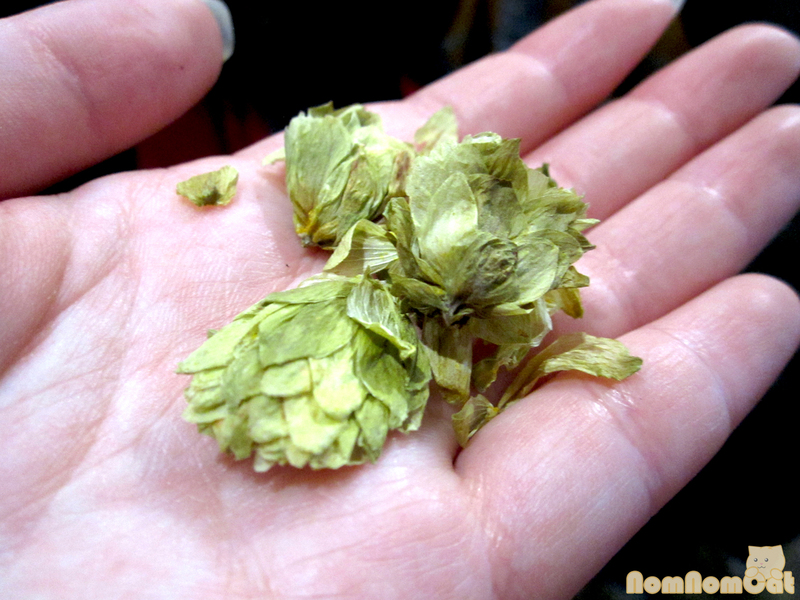 Hops used in Sam Adam’s Boston Lager. These little flowers imbue different flavors into the beer. 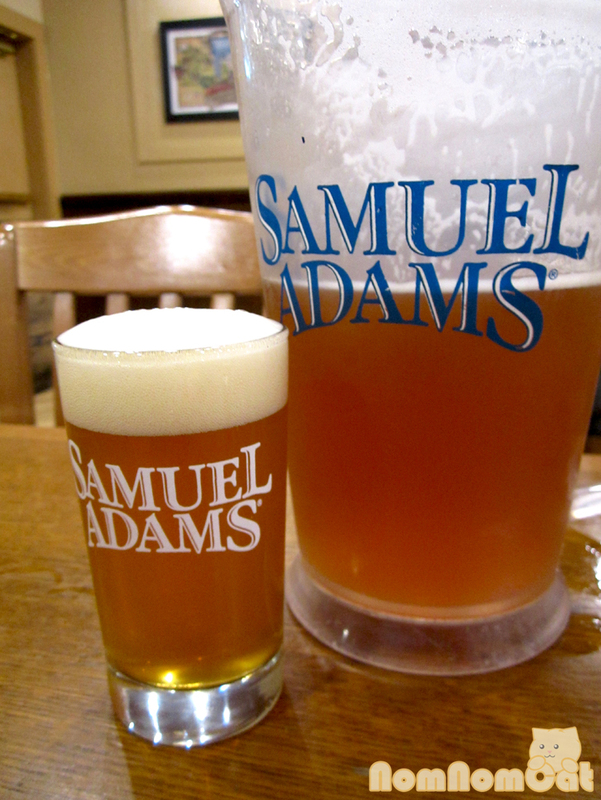 Some of the best hops in the world are grown in Germany which is where Sam Adams sources its Bavarian Noble Hops from. 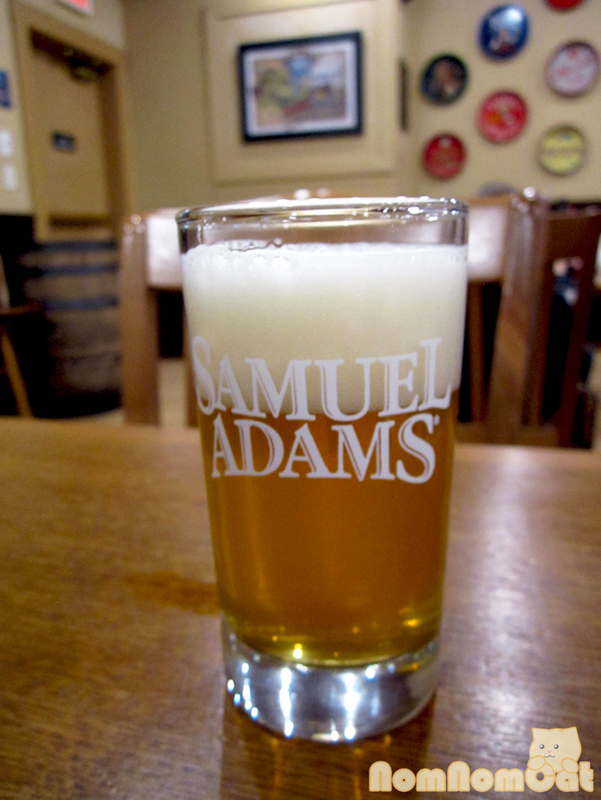 Sam Adams uses two-row barley which means the seeds grow in two rows on the central stem as opposed to four or six. 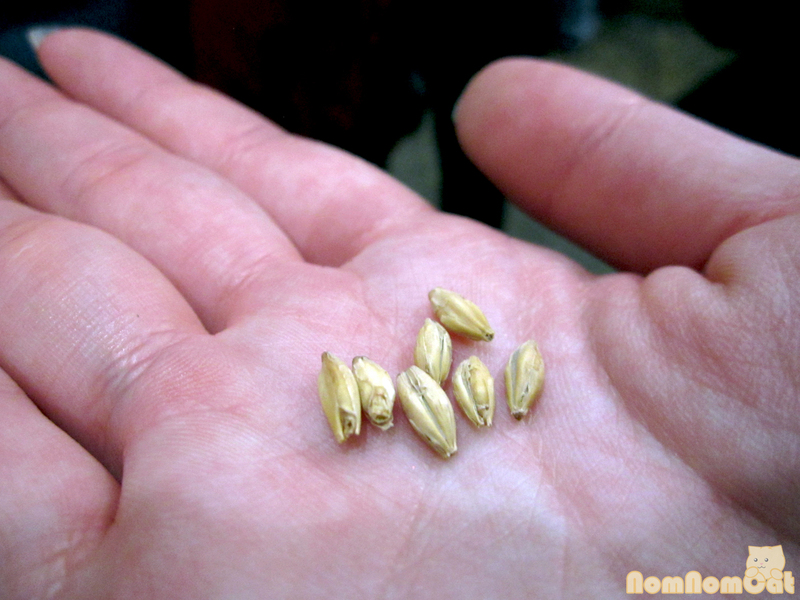 Two-row barley tends to malt much better than other varieties but at a higher cost. This barley tasted very much like Grape Nuts cereal. The barley is roasted, giving it a range of colors which ultimately determines the color of the beer. 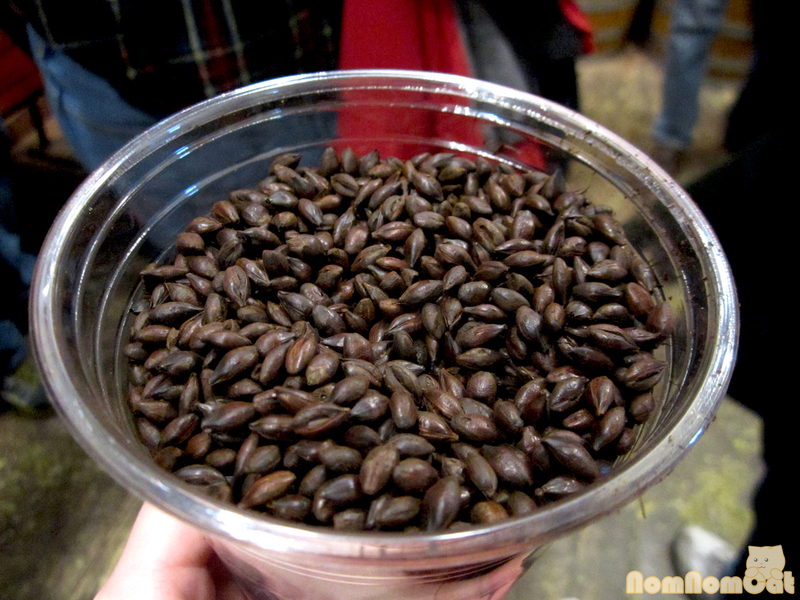 The Caramel 60 will end up in a darker beer and smells and tastes a lot like a coffee bean. The brewery floor is much like that of a winery with huge tanks filled with millions of yeast cells hard at work to help us get our buzz later in the tour. They were in the process of replacing some equipment so the brewery floor was filled with brand new equipment still wrapped in plastic (not shown above). Here’s the best part of the tour – free beer! 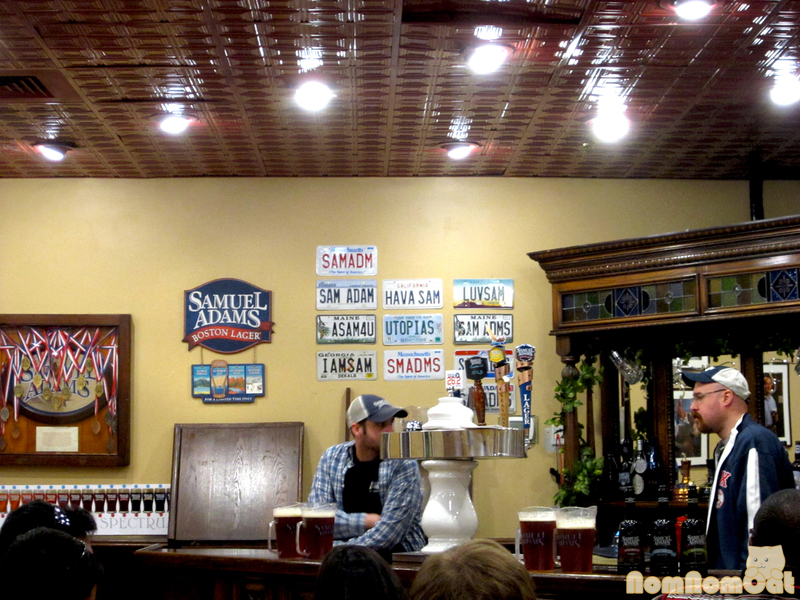 Everyone sat in rows of long communal tables as the tour guide and his buddy passed down pitchers of 3 different beers: the Sam Adams Boston Lager, the Marathon 26 crafted specifically for the Boston Marathon, and the seasonal Summer Ale. The Summer Ale was the most refreshing and had light citrus-y notes; Alice was quick to declare this one her favorite. The classic Boston Lager, which we had to try while we were in the city itself, was a more full-bodied brew, rich with roast-y malt flavor. Our third and final tasting is a Boston exclusive – the annual 26.2 Brew. Named for the 26.2 miles in a marathon and particularly for the Boston Marathon that was to take place the week following our visit, this brew is exclusively served at the Brewery and at select bars along the marathon course. 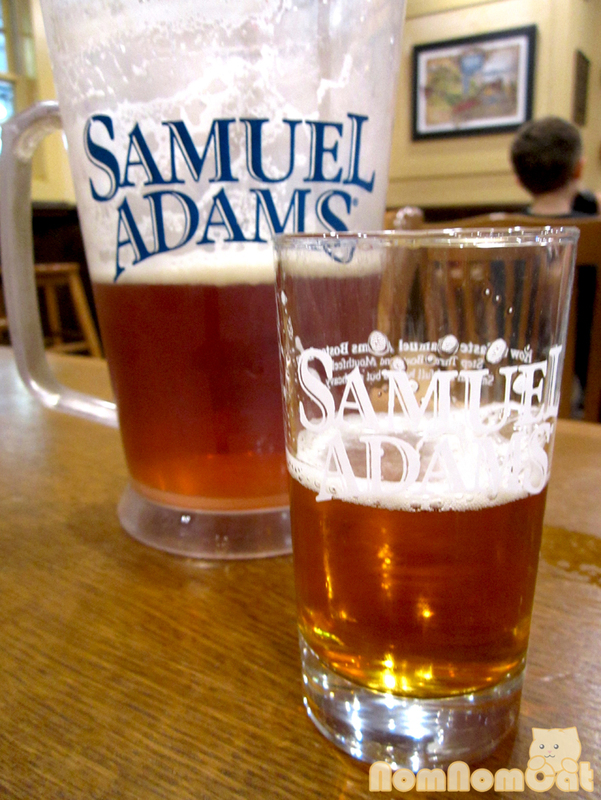 Whether you’re looking for free beer or for fun things to do in Boston, we recommend visiting the Sam Adams Brewery. It definitely helped us appreciate the process and effort that goes into making each glass, pint, and keg. 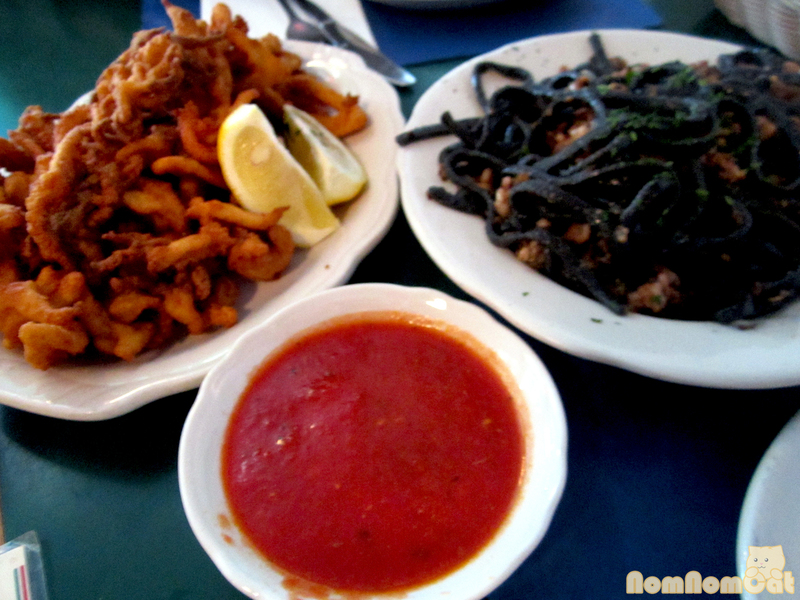 When we were planning our trip to Boston, we knew we had to pencil in a special dinner at Clio. I’m absolutely fascinated by the crazy food science that molecular gastronomic wizards like Chef Ken Oringer whip up in the kitchen, so Clio was a perfect fit. From the moment we took our seats, our friendly server Katherine led us on a magical journey through ten stunning courses. We had mentioned that we traveled a long way from the land of Foiehibition and would appreciate all the indulgence we could get. 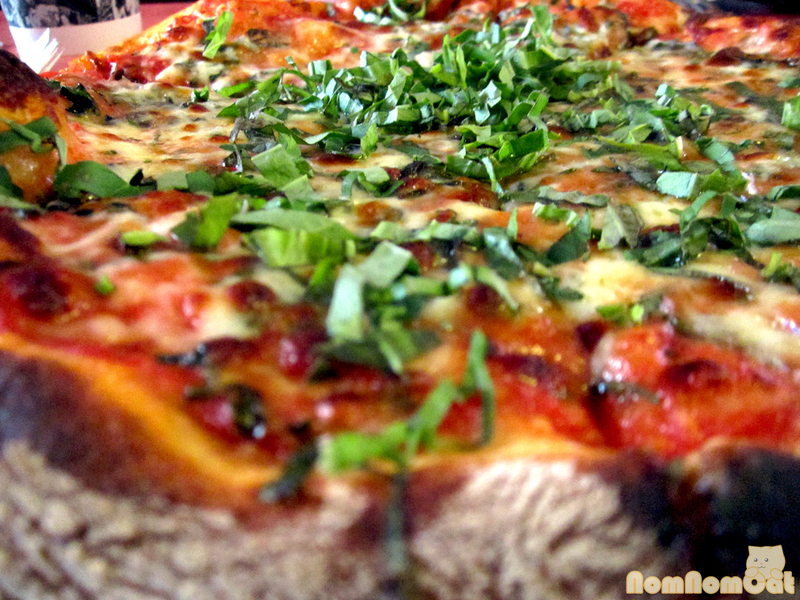 They certainly delivered, and I daresay the Chef had at least a little bit of fun with it. We decided on the 10-course tasting menu. 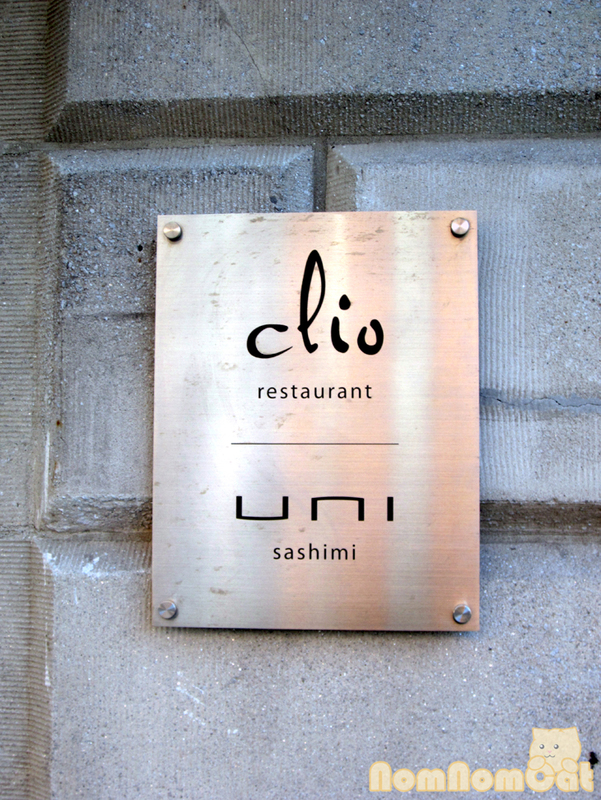 Here at Clio, the tasting menus are chef’s whim… basically a kaiseki omakase. 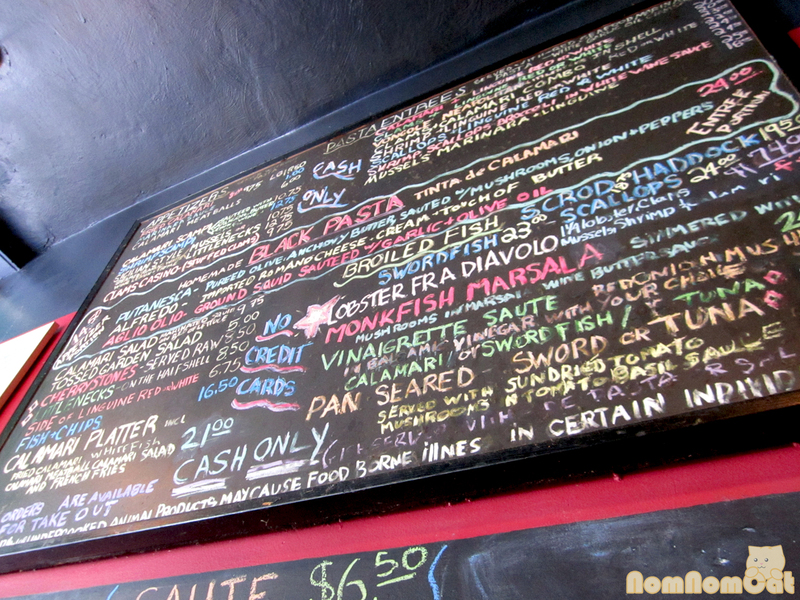 Some courses hail from their a la carte menu while others are completely new spur-of-the-moment concoctions. 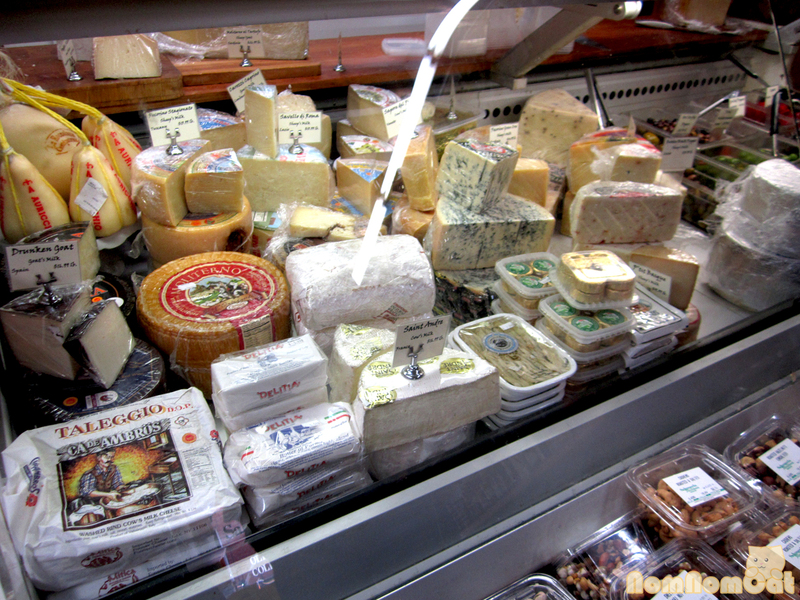 The 10-course selection would be broken down into 7 savory courses, 1 cheese course, and 2 desserts. 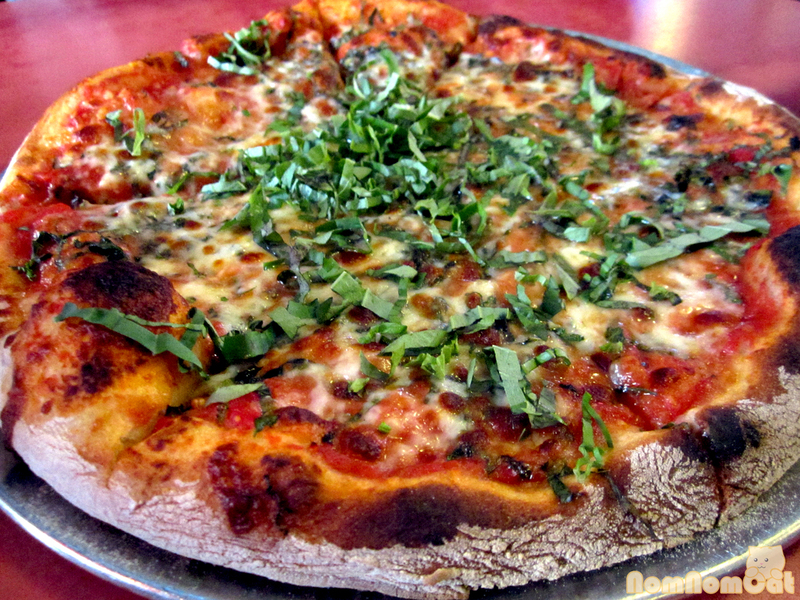 Just be sure to mention any allergies or dietary restrictions… then sit back, relax, and enjoy. 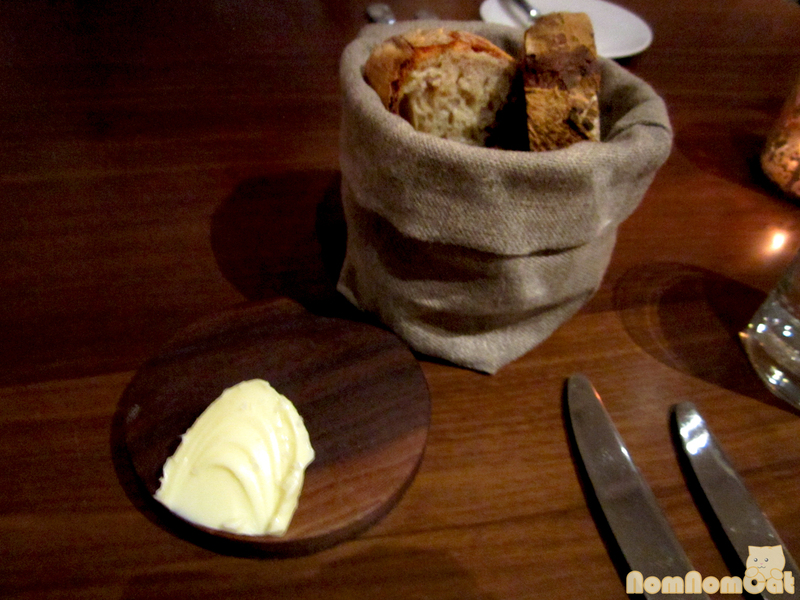 I knew it was going to be a good night when even the table bread was delicious. Thick slices of a rustic loaf with a hard crust and a fluffy middle, a generous dollop of silky whipped butter… I had to resist from filling up before the dishes had even begun! 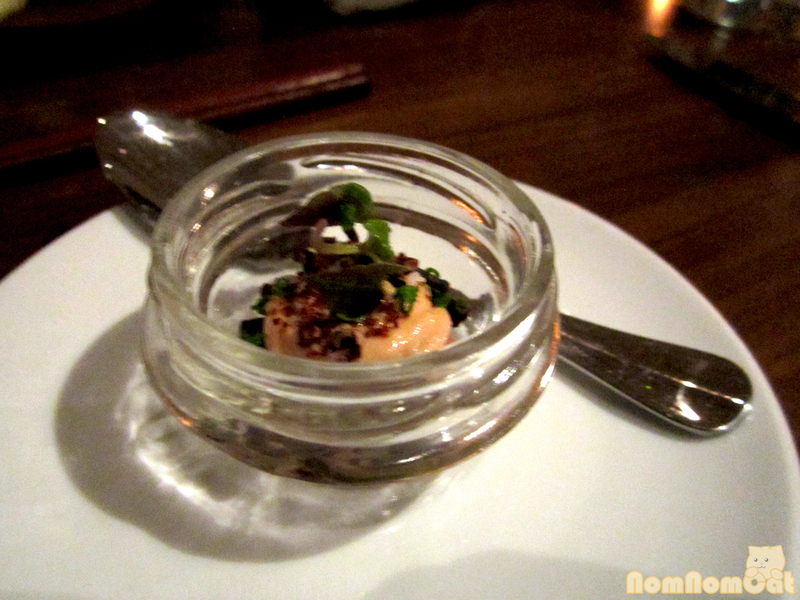 The Amuse Bouche: foie gras mousse garnished with cacao nibs and microgreens. Chef did not mess around and started us off with foie right away. The mousse was smooth and not at all gritty. 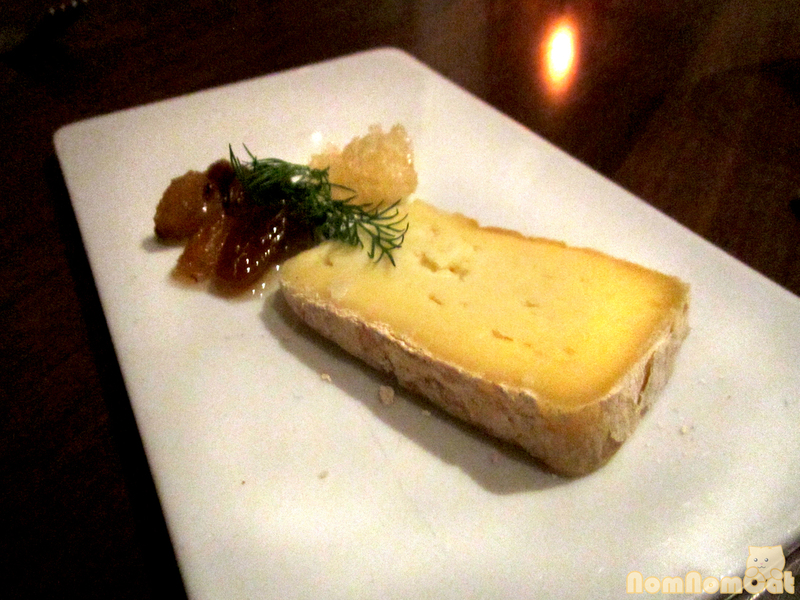 We were excited for our first taste of foie gras in a very, very long time! The Palate Cleanser: tomato water “martini” with caperberry and a tomato puree “popsicle.” The drink itself was super refreshing and playfully decorated with drops of oil presented table-side. What stumped me was just how clear the tomato liquid was! With our palates sufficiently cleansed, we were ready to move onward. 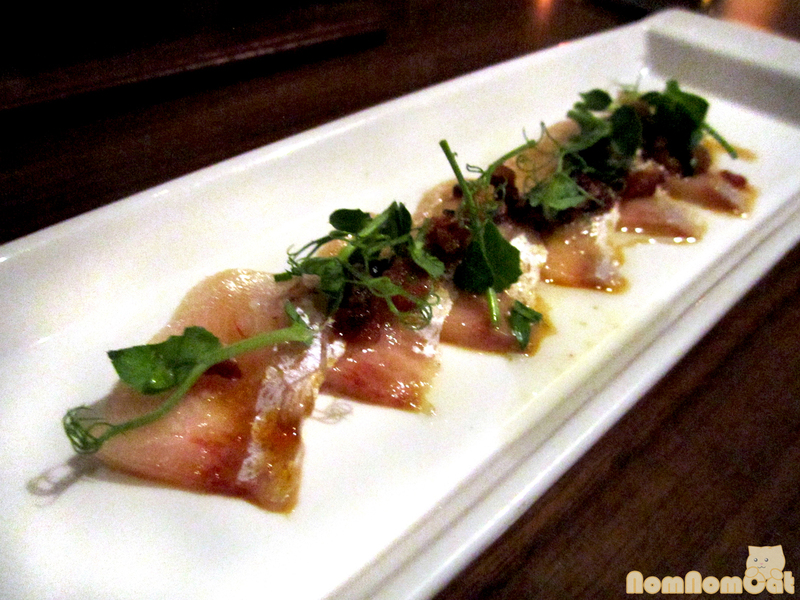 Course 1: hamachi toro sashimi – a crudo of yellowtail belly slices topped with crispy pork belly crackling “croutons” and a black truffle vinaigrette… SO GOOD. A dish from Uni (the sushi bar / lounge next door), the balance of the fresh fish, a tart and citrus-y vinaigrette (was that yuzu I detected? 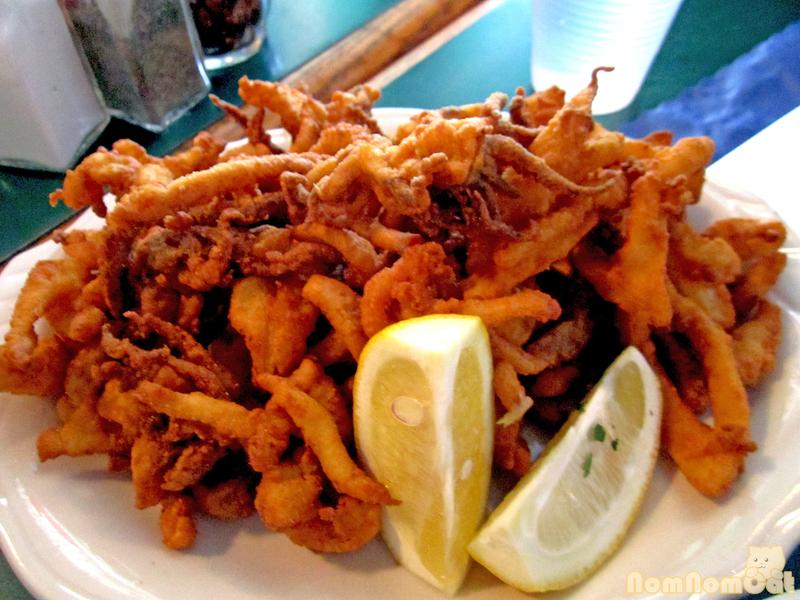 ), and crispy and decadent pork cracklings made for an excellent first course. This turned out to be one of Martin’s favorites of the night. 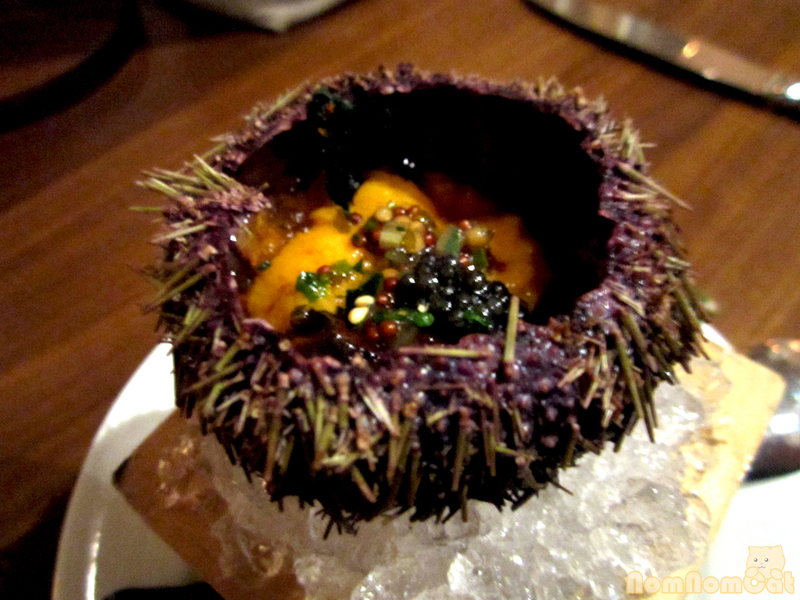 Course 2: live uni from Maine – raw sea urchin with dashi gelee served with a thin spinach wafer. The presentation was stunning, although the wafer didn’t break quite as we expected (or as the chef intended, I’d imagine). It just split in half and fell onto the table. Sad face. Good thing we abide by the 5 second rule! Here’s a close-up of the golden uni. If you look really carefully you can spot the flavorful bits of dashi gelee. 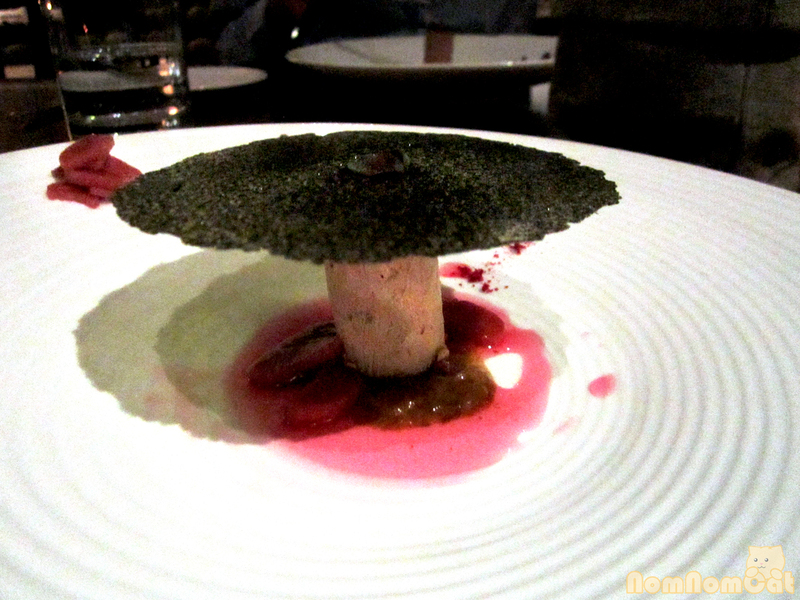 Course 3: foie gras torchon – torchon topped with bread crumbs and served with pickled rhubarb and a nori croquant. Delicious! 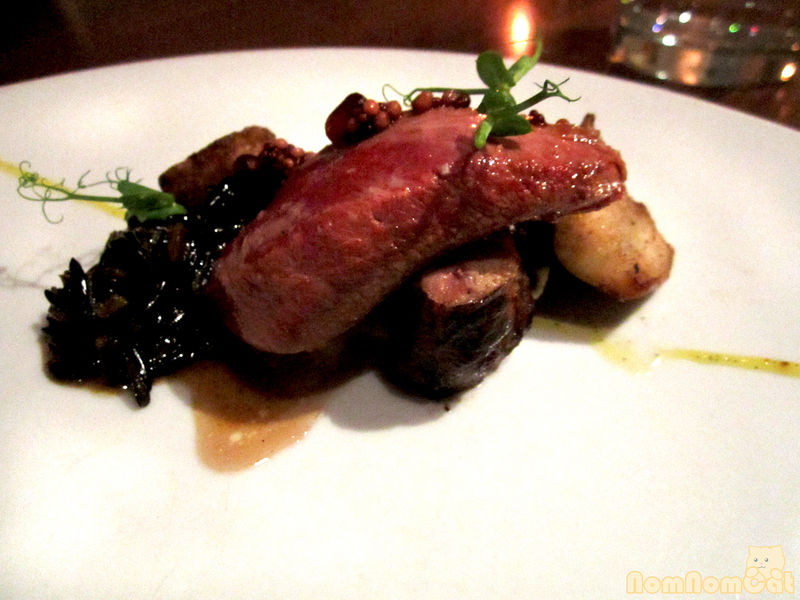 This dish, featured on their a la carte menu, really reminded us of how much we missed foie. The richness of the torchon was well-balanced by the tart rhubarb, and the sweet, crunchy crisp added another textural dimension to the dish. 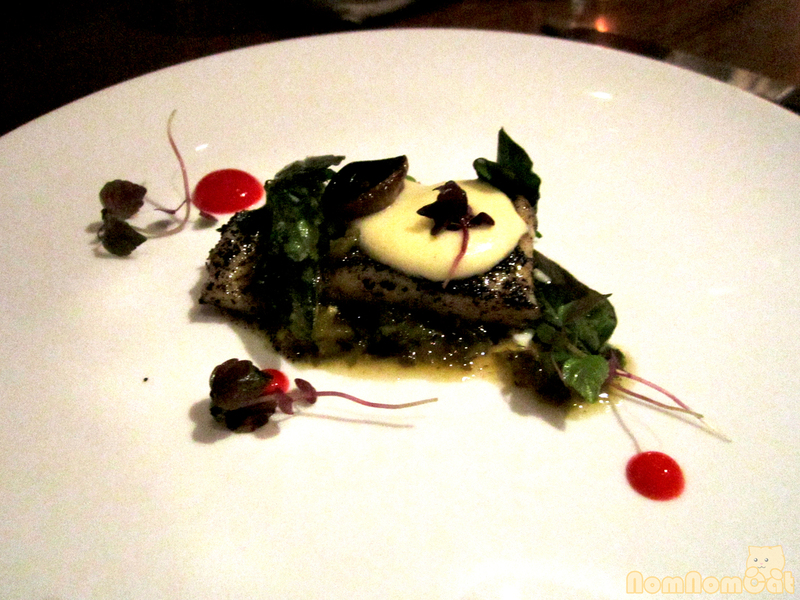 Course 4: Maine fluke – butter poached with black lime, umeboshi, fava beans, and shiso relish. 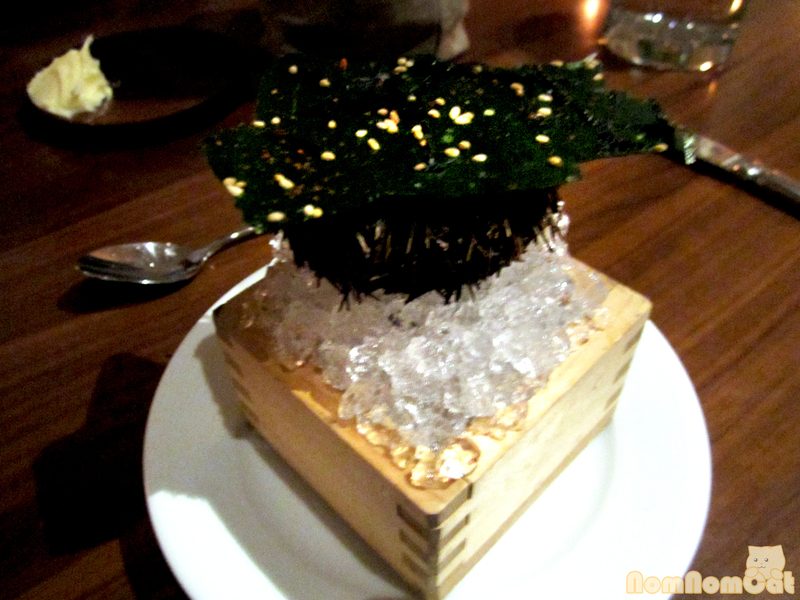 It’s no fluke (pun intended), this dish was genius! The buttery white fish coupled well with the acidity of the lime and umeboshi dancing on the palate. We also found it interesting that the shiso relish tasted distinctly of fish sauce (in a good way). Course 5: fresh white asparagus from Southern France. These beauties are among the first of the evanescent three-week-long season… so exclusive that only one case was delivered to Clio’s kitchens. 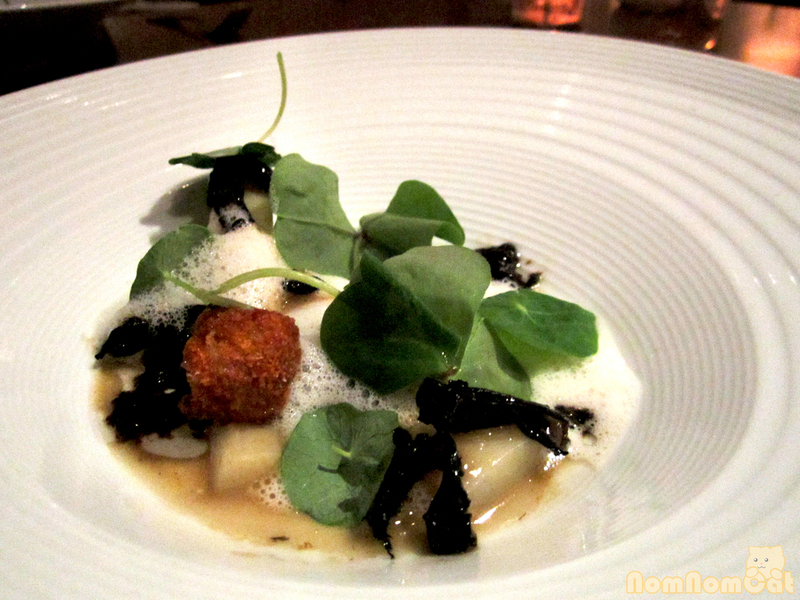 They had beautiful texture and were served with black trumpet mushrooms, foie-infused broth, and a flavorful foam. Course 6: foie gras laquée – seared foie gras with piquillo pepper jam, milk & honey puree, cornichons, topped with grains of paradise and candied rye. 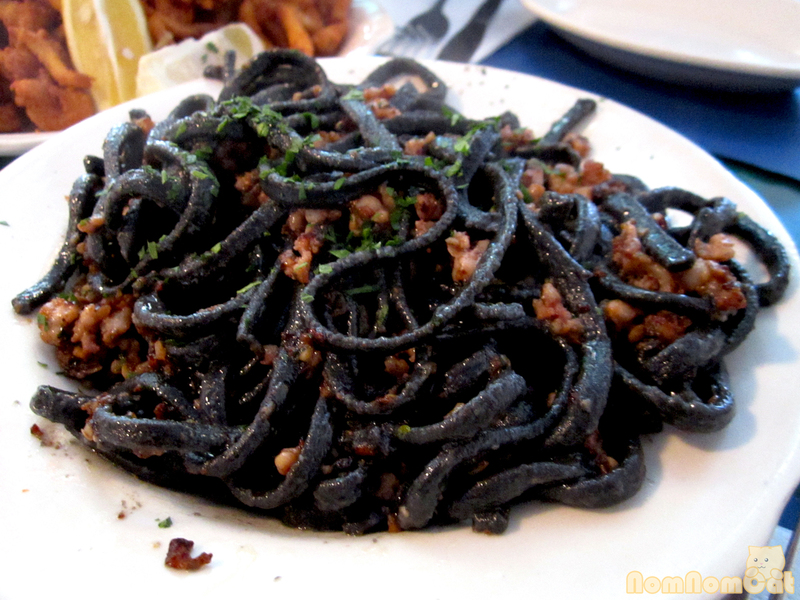 This breathtakingly stunning dish had me at hello. 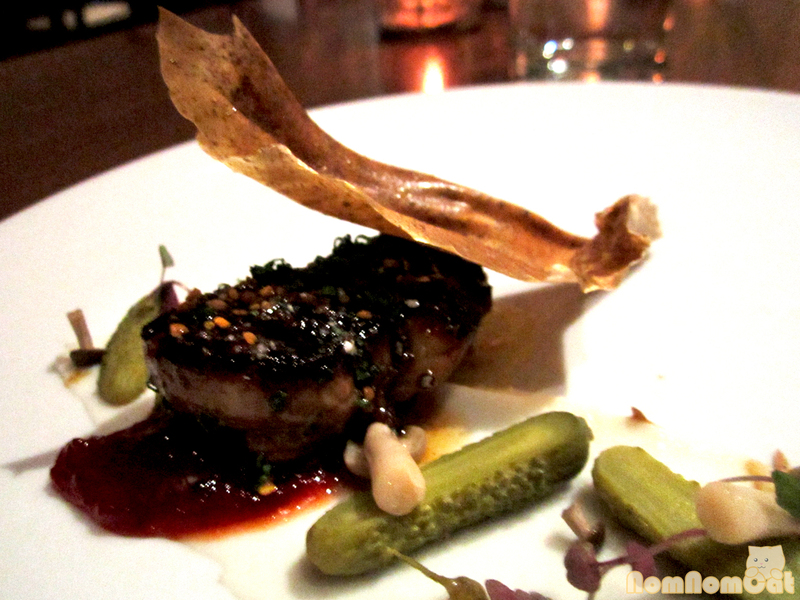 The glazed (or per its namesake, lacquered) foie gras was a delicious combination of savory and sweet. Even the garnish was thoughtfully constructed – a crisp made from a rye bread base that was then candied and pulled like taffy. Fascinating! Course 7: California squab with wild rice, charred Brussels sprouts, fingerling potatoes, vanilla caramel, duck confit roulade with a foie gras center. This entree is on their a la carte menu, but the roulade stuffed with foie was made just for us! The squab was sous vide with a beautiful rare scarlet red and a crispy seared-off bottom, and Martin, who had never had wild rice before, enjoyed the long, dark grains paired with the sweet vanilla. Another one of our favorites (but really, it would be so hard to pick just one!). The Cheese Course (Cheese #1): Katherine brought out two cheeses. 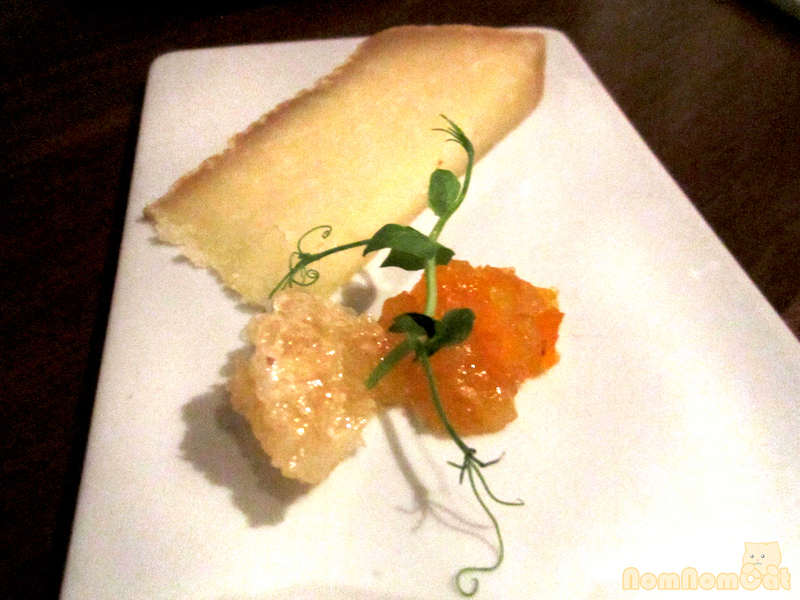 The first one, a hard sheep’s milk cheese paired with apricot, was more to Martin’s taste. 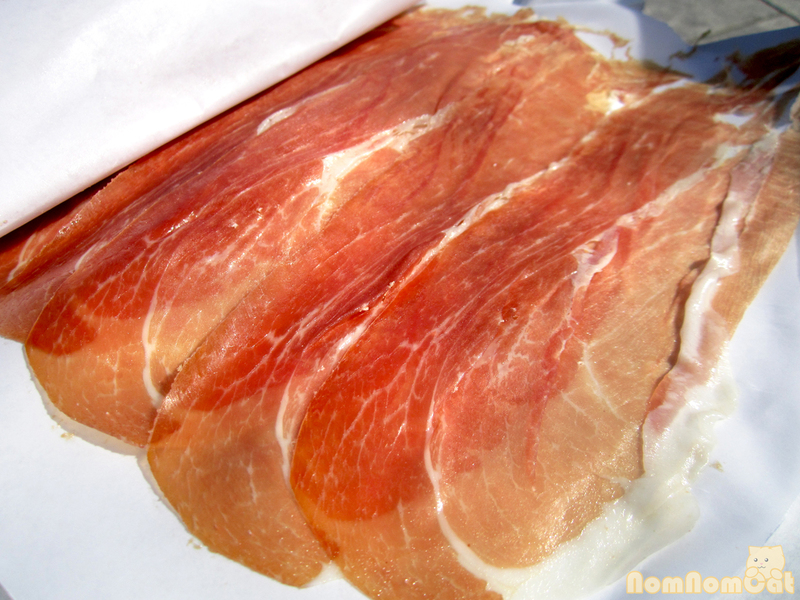 It had a strong, aged aroma which contrasted nicely with the honeycomb. The Cheese Course (Cheese #2): The other selection was a soft cow’s milk cheese with syrupy golden raisins and a bit of honeycomb. 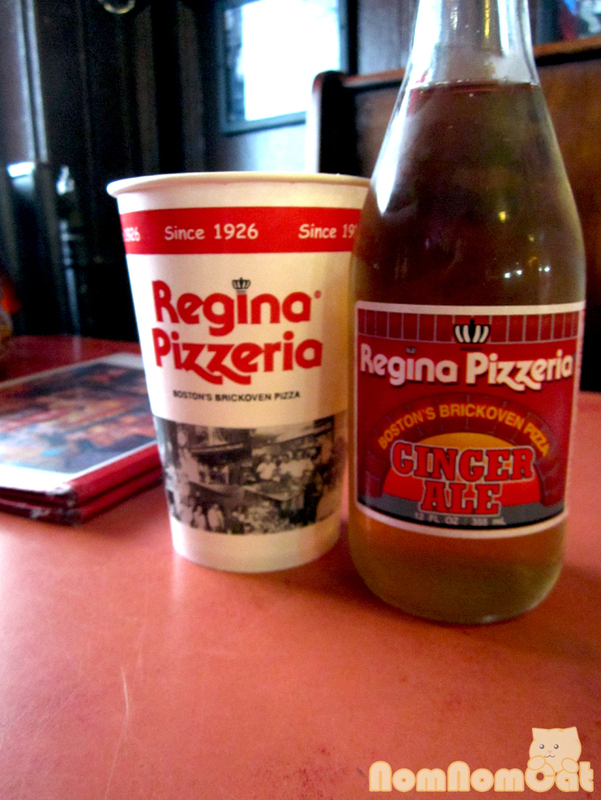 I preferred this one to the former, and I loved the texture of the reconstituted raisins in the sweet, cloying syrup. Course 9 (Dessert #1): white grapefruit panna cotta with grapefruit & rose sorbet, sorgum tuille, and candied grapefruit peel. Personally, I’m a bit fan of the tart-bitter notes that naturally accompany white grapefruit so this dessert was perfect for me – refreshing and not too sweet. 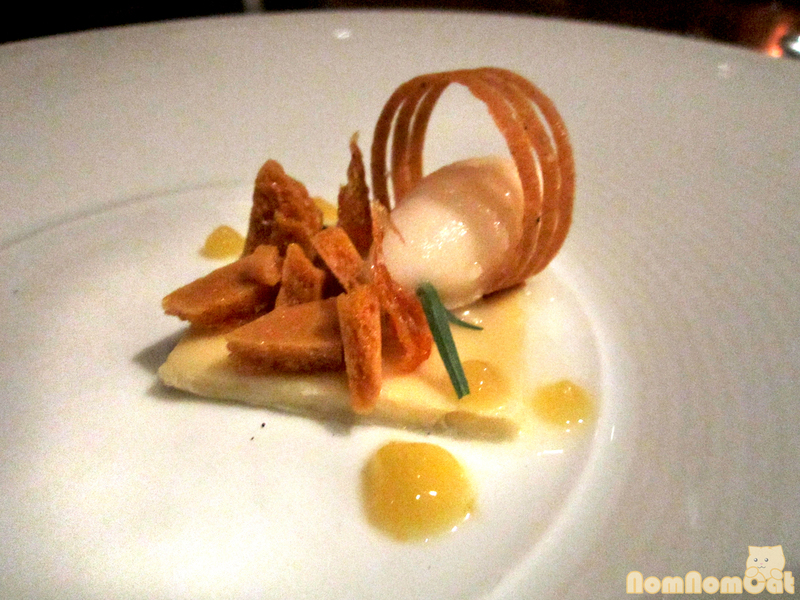 The tuille had a roasty-toasty flavor reminiscent of a brittle sans nuts. The panna cotta base was creamy, and although the texture was a bit more dense than I am used too, it went well with the cool and light sorbet. Course 10 (Dessert #2): Violet Vacherin with violet meringue, lychee creme, moscato gel, chocolate sorbet and edible flower garnish. A relatively new creation by Pastry Chef Monica, this was almost too pretty to eat and I had no idea where to start. 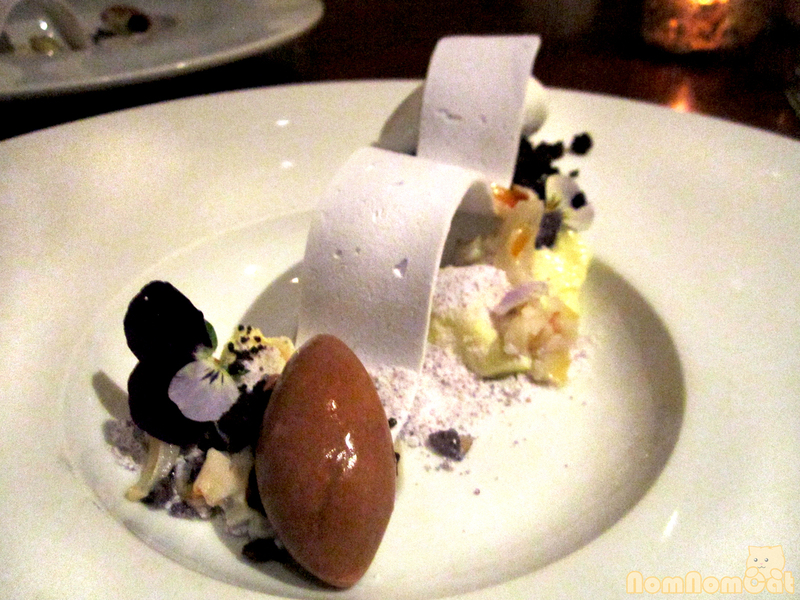 There was a lot going on in this dessert (including something in maltodextrin?) so every bite was like a new experience. 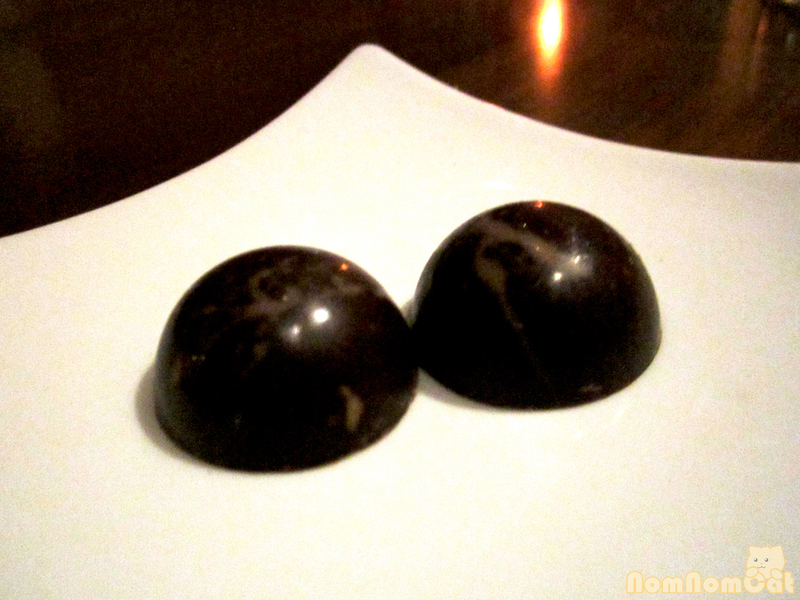 Farewell: dark chocolate covered kumquat bon bons. I had expected more tartness from the kumquat but this was actually quite sweet and the perfect little bite to end the night. While we were most certainly satisfied with the food, we were also very well taken care of by Katherine. She eloquently described, from memory, every element of each elaborate dish and answered our questions without hesitation. I would not be able to do that without sounding like a rehearsed script, but she was very personable and truly made our experience complete. The tasting menus are not cheap, but our experience was definitely worth every penny, especially if you enjoy dinner as the main event, as we do. 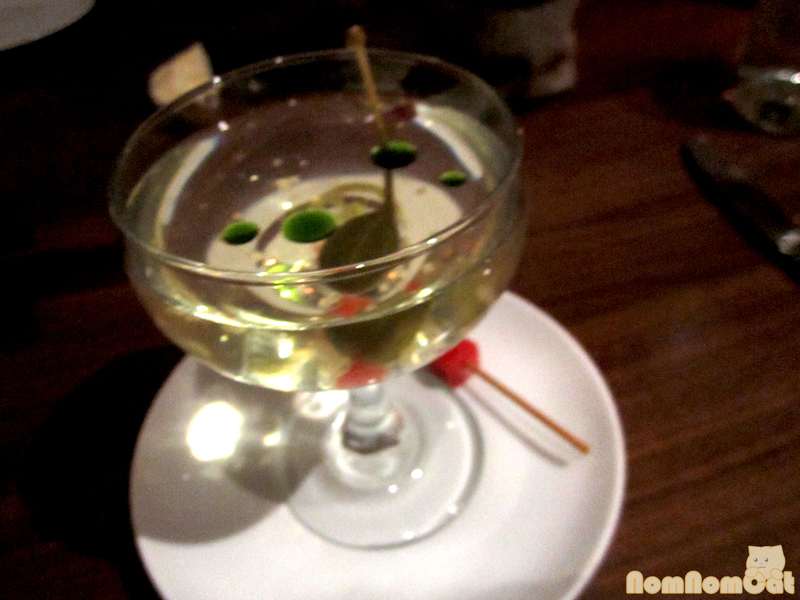 The 10-course adventure left us pleasantly satiated and thoroughly entertained throughout our three-hour dinner. I’m already looking for reasons to end up in Boston so we could return for more!